Here's a collection of photographs we created today at the request of veterinarian Riley Wilson/The Pet Stop. He's been the lead veterinarian for The Alaska Zoo for as long as I can recall. He's been my veterinarian since the 1980's when I first met him with my wonder dog, Lindsay. At the time, Riley also had a golden retriever whose name was Jaeger. Riley's daughters have been volunteering at The Alaska Zoo for quite some time. 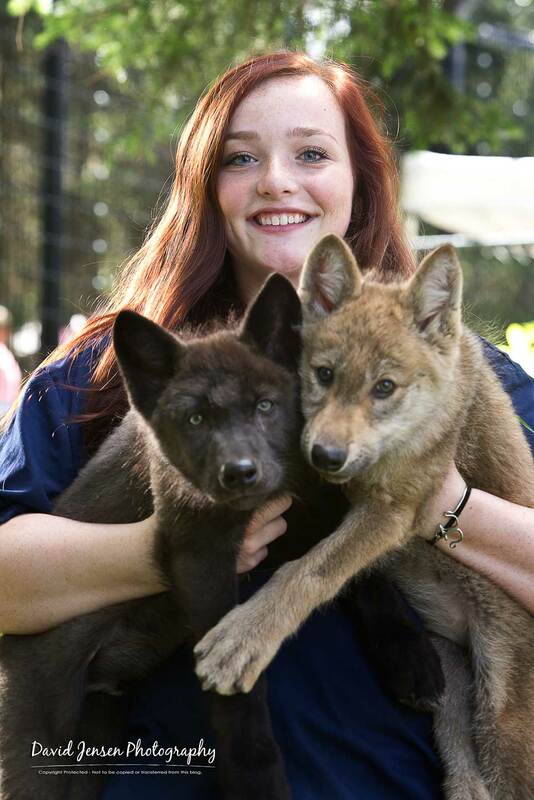 Lately, they've been volunteering and assisting with the care of five wolf pups who were brought to The Alaska Zoo after hero firefighters discovered them hunkered down in a den that was surrounded by a forest fire in the Kenai Peninsula. The pups head to a zoo in Minnesota tomorrow. This was our last chance to interact with them. Taylor and I were honored to be invited to capture these and many other photographs. It's was a once in a lifetime opportunity. Well, maybe it was a once in several lifetime opportunities. Looking into their eyes ... an amazing experience. I hope you enjoy these portraits. Please do not copy, transfer, reinterpret or use these images in any way without the studio's permission. They are copyright protected. Use without permission is a violation of copyright laws. You can support The Alaska Zoo by clicking here.